I have been on the search for syphilis – or venereal disease as it was known in England in the 1600s and 1700s. In that era, there was one broad disease category, “venereal disease,” for what we know now to be different STDs. Personal writing about venereal disease can be challenging to find because the disease was stigmatizing and disfiguring. Few individuals admitted to having venereal disorders in letters to healers and even fewer wrote about their experiences in personal writing. And yet the disease was rampant by the early decades of the 1700s. I set out for the archives with the hope that recipe books might provide rare glimpses into the private side of the disease. Of course, recipe books are by no means private forms of writing. 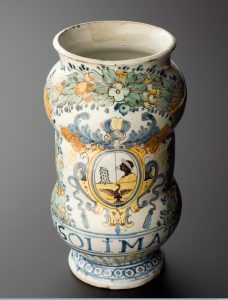 In many instances, they were cherished objects bequeathed to friends or passed down through families. Yet the stigma of the disease created a market for treatment at home. Recipes, I hoped, could offer insights into that domestic practice. I found a large number of recipes aimed at particular ailments, such as the falling sickness, but only a rare few targeted venereal disorders. One of these entries is from a 1680 book owned by Johanna St John. She recorded a remedy for treating heat and inflammation in venereal sores. The ingredients in Temple’s wound drink are also telling. Several were believed to work as anti-venereals, including sarsaparilla and guaiacum. Instead of searching for a particular set of ailments, I started combing recipe books for ingredients associated with venereal cures. The most popular of these was mercury. Mercurial remedies took the form of pills, drinks, ointments, and even smoke that patients inhaled, and they were comprised of mercury in all of its forms: calomel, sublimate, liquid quicksilver, and cinnabar (mercury mixed with sulfur). Ingesting mercury causes excessive salivation, a reaction that today we associate with mercury poisoning. But within the humoral framework of health–in which abundant, imbalanced, or clogged fluids were thought to cause illness–prolific salivation was evidence of a potentially curative bodily transformation. I found several recipes for mercurial ointments and waters. They were said to be good for treating itch, inflammation, ulcers, fistulas, or “old soares” – all common symptoms of venereal disorders. There were, it seems, recipes for venereal disease after all. They were just a bit tricky to find. One recipe for mercury water was said to cure “all manner of Ulcers, Cancers, Fistulaes, the wolfe, and such other like infirmities & diseases.” Others targeted the physical effects of mercurials themselves. Here’s a recipe for curing bad breath caused by consuming mercury — one of the drug’s many conspicuous side effects. This recipe calls for holding a piece of gold in the mouth, not the most accessible ingredient. Take the roots of marsh mallows gathered in the beginning of nouember and dried and kept till you haue ocation to use them take of the powder of the said roots halfe a spoonful and giue it to the patient in warme milke a good draught this euery 2 or 3 howers for 3 or 4 times but first giue the partey a vomit of a quarter of a pinte of salet oyle with bloud warme water. My search for venereal disease in recipe books suggests that some authors were ashamed enough to veil or downplay the anti-venereal dimensions of their remedies. More broadly, my search points to an important lesson of historical research: the inability to find what we are looking for in the archive can be, itself, something worth knowing. Michael Döring’s (d. 1641) gout and arthritis* pains were sometimes so severe that he could not leave his house on foot to visit patients throughout the city of Breslau (a.k.a. Wroclaw). Desperate to find a cure, or at least some respite from his miserable condition, he spent his adult life searching for a recipe that he could use to make a medicine. Fig. 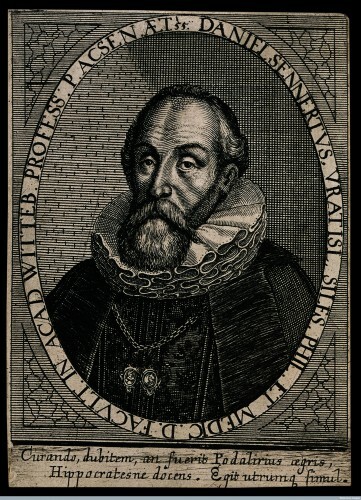 1: Line engraving of Daniel Sennert by S. Furck, 1650. Image from Wellcome Images, used under Creative Commons 2.0 Licence. 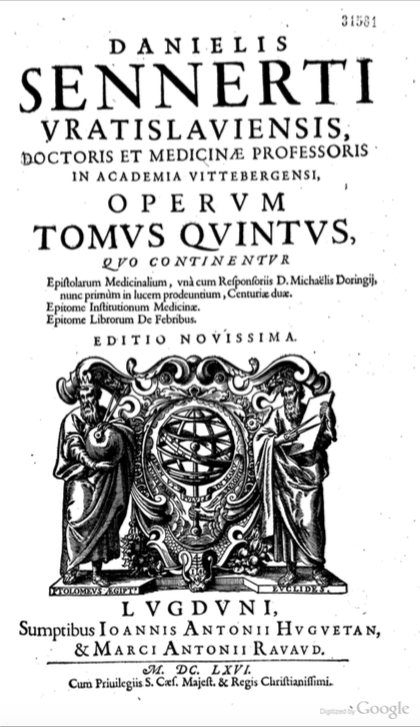 We know this because Döring was a tireless writer of letters, and a large number of the epistles he exchanged with his brother in law, the Wittenberg professor of medicine Daniel Sennert (1572-1637; see Fig. 1), were saved for posterity and published in the 1666 Lyon edition of Sennert’s complete works (see fig. 2), nearly a quarter century after both Döring and Sennert had died. Sennert is remembered by historians for his experimentalist atomism and his philosophy of generation, but Döring has been largely forgotten, save the occasional mention that he and Sennert were the first to accurately describe the symptoms of scarlet fever. 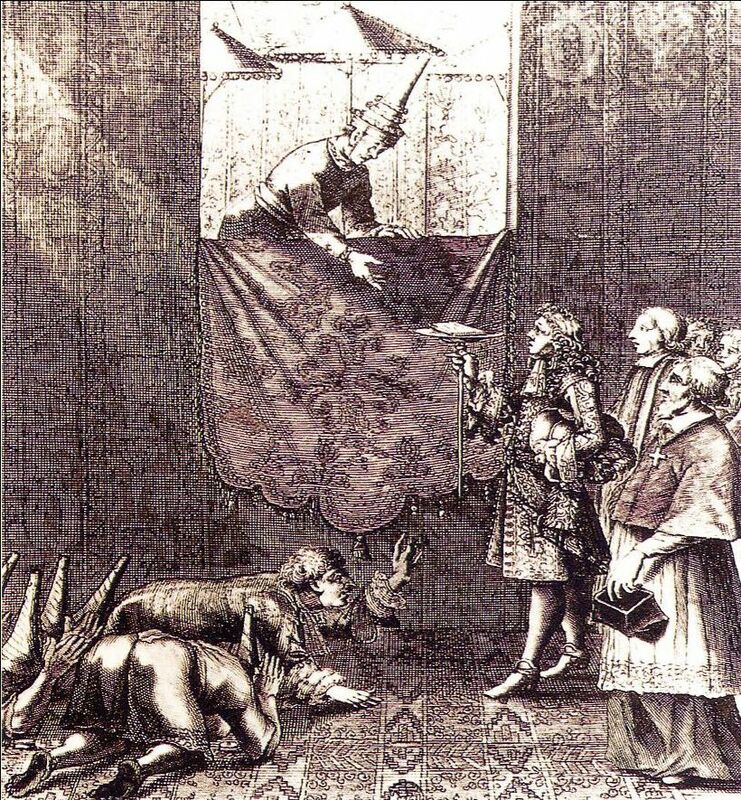 Nevertheless, over the two decades from which letters have survived, the two physicians candidly discussed a variety of topics, including medical observations, noteworthy case histories, questions about religion and natural philosophy, and even the movements of troops during the Thirty Years’ War. Among such issues, however, the search to find a cure for gout and arthritis was paramount, for Sennert also suffered from a similar affliction, although apparently less so than Döring. Fig. 2: Title page of ‘Tomus Quintus’ of Sennert’s 1666 complete works, which contained his letters with Döring. Image from Google Books, used under Creative Commons Licence. Like most academically trained physicians of their day, Sennert and Döring understood pathology and therapy in a Galenic framework; that is, diseases were caused by an imbalance of the body’s four humors, and treatment involved the balancing of these humors through diet, bloodletting, and the administration of purgatives. Even so, Sennert and Döring also promoted the use of new chymical drugs made from minerals and metals, and they believed that diseases could have causes besides the humors. In the case of gout and arthritis, one of the causes lay in the excess consumption of tartar, which they believed was found throughout the vegetable world, but in especially large amounts in wine. The iconoclastic Paracelsus von Hohenheim (1493-1541) had popularized this understanding of tartar in the sixteenth century, but Sennert and Döring were hardly alone among learned physicians who had adopted such ideas. So, what is one to do with a gouty body riddled with tartar? 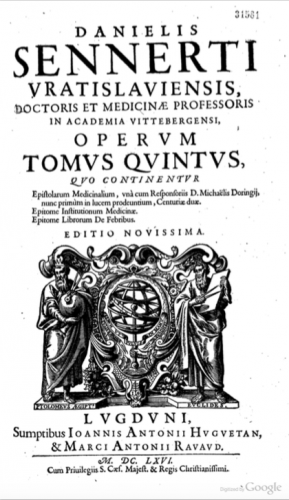 In short, you have to expel the tartar, and Döring wrote that this could be done by combating the weakness of the “natural faculty,” that is, the body’s ability to rid itself of excrements and disease-causing agents like tartar. The medicines that he and Sennert hoped might accomplish this, which they discussed in letters, most often included gold in their ingredients, and were thought to work against almost all maladies. In short, the recipe and protocol called for the dissolution of twelve sheets of gold leaf in a preparation of May dew over the course of nine months, and in 1621, Döring wrote to Sennert that he and an apothecary had acquired enough gold to begin the synthesis. What is especially striking about this episode is that the interpretation of and experimentation upon recipes was done collaboratively through the undoubtedly tedious process of sending letters between Breslau and Wittenberg – a 350 km trip. 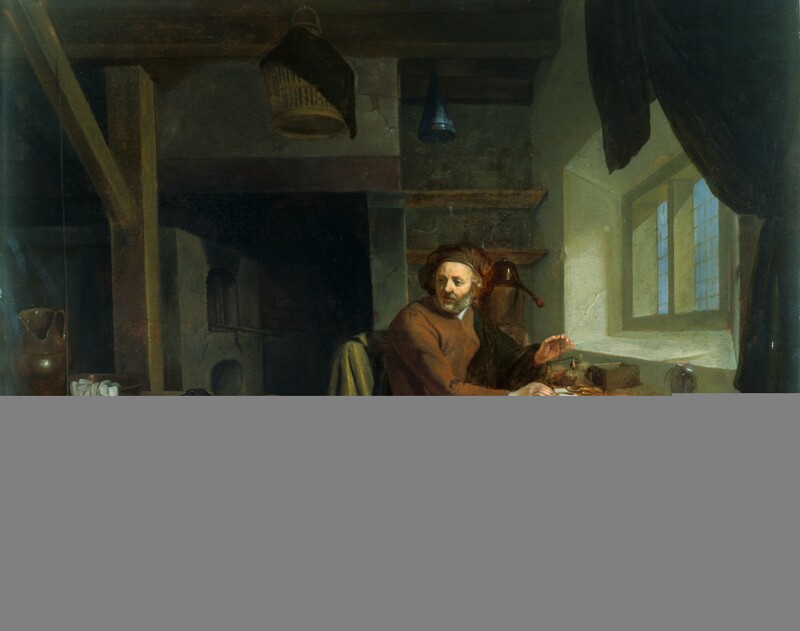 It is similarly notable that physicians – working during a period in which recipes for universal remedies and promises of their effectiveness were ubiquitous – actually tested recipes for the synthesis of medicines, occasionally found them wanting, and reported failures to one another. Such experimentalism and candid communication represent archetypal values and ideals that would later be codified as hallmarks of modern science and medicine. * Physicians often believed that gout and arthritis were the same disease or at least had the same root cause. My current research focuses on how certain materials, particularly metals, gemstones and glass, mostly disappeared from the medicine of Boerhaave and his followers. This primarily had to do with how these substances were chemically understood. When I tell this to people, they mostly nod in agreement, assuming that Leiden professor of medicine, chemistry and botany Herman Boerhaave (1668-1738) discovered how poisonous metals are for the human body through chemical analysis, and subsequently banished them from his medicine. The truth is a little more nuanced. Boerhaave’s ideas about these substances and his idea of poisonousness were deeply influenced by those of illustrious medical men like Paracelsus (1493-1541) and the common alchemical understandings of matter at the time. 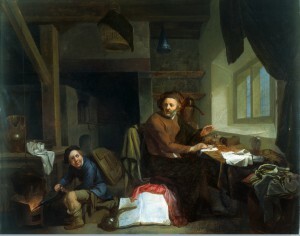 The reason that Boerhaave thought most metals were poisonous for humans for example was not because he had systematically tested the effects of ingestion, but because he argued from an alchemical understanding that the corrosive nature of most metals, except for gold and iron, meant that they were generally damaging for the human body. Only in very severe cases of otherwise incurable diseases, such as syphilis, could an appropriately cultivated preparation of a heavy metal like mercury be used as a last resource. Neither did Boerhaave’s discouragement of the use of substances such as metals in medicine mean that he thought all vegetable substances were safe to use, and he discusses vegetable poisons in his lectures. Poisonous hemlock (Conium maculatum) Courtesy of Kurt Stüber, www.biolib.de. 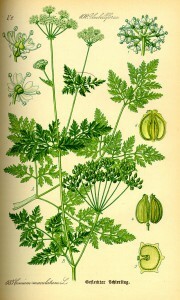 Rough chervil (Chaerophyllum temulentum). Courtesy of Kurt Stüber, www.biolib.de. 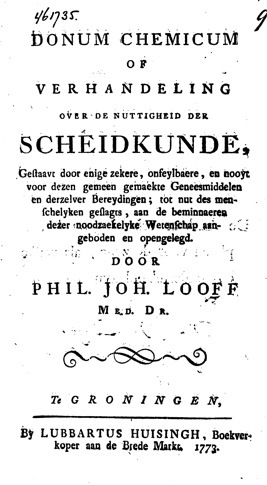 Although Looff obviously never met Boerhaave, he dedicated his book to Boerhaave’s successor and former student H.D. Gaub (1705-1780), who endorsed it, and Looff repeatedly speaks of Boerhaave’s work admiringly in the book. 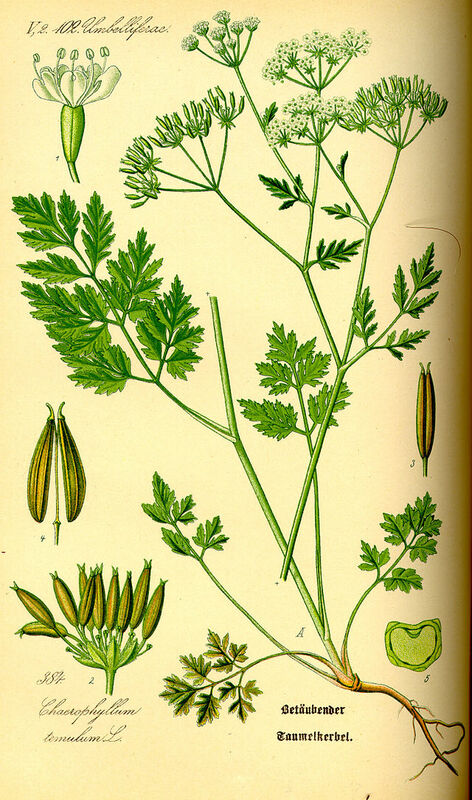 Completely in Boerhaave’s line of thought too is his discussion of the medicinal use of rough chervil (‘dulle kervel’ or Chaerophyllum temulum), a slightly poisonous plant. It was often confused with hemlock (Conium maculatum), which is said to have been the active ingredient in Socrates’ poisoned chalice. Like Boerhaave, Looff begins with a warning that any use of poisonous substances by the uniformed is extremely dangerous, and continuous to describe an observation of the usefulness of rough chervil in the cure of leprosy. According to Looff, he and his father in law, also a medical doctor, had successfully cured a woman suffering from leprosy be treating her with a very week solution of rough chervil and sarsaparilla – a handful of rough chervil and an ounce and a half of sarsaparilla boiled in 28 or 30 ounces of water for three hours. Although the patient went temporarily blind each time she took a two-ounce dose of the brew, after seven weeks of two daily doses, she was cured of her leprosy. In hindsight it seems rather risky that Looff published his findings in the vernacular, as it is very easy to confuse rough chervil and hemlock – ingestion of only 6 to 8 leaves of fresh hemlock can be fatal. 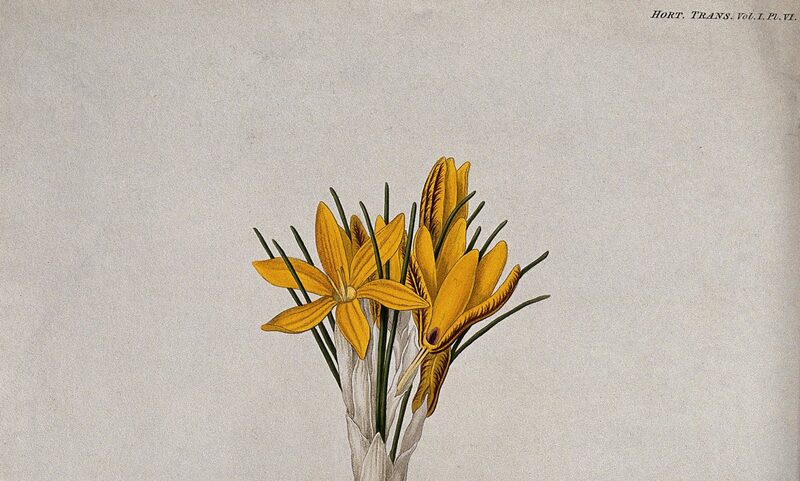 Yet however dangerous, these kinds of case studies were also essential for the study of the effects of potentially poisonous plants on the human body, and thus indirectly for the early nineteenth-century invention of isolating plant alkaloids – the active chemical principles of plants that had been used medicinally for centuries and that we still know and use today. 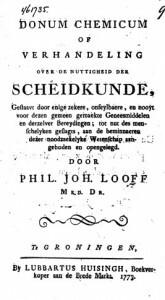 Looff, Philippus Johannes. Donum Chemicum of Verhandeling over de Nuttigheid Der Scheikunde, Gestaavt Door Enige Zekere, Onfeylbaere, En Nooyt Voor Dezen Gemeen Gemaekte Geneesmiddelen En Derz. Bereydingen. Groningen: Lubbartus Huisingh, 1773. Swann, John P. “The Pharmaceutical Industries.” edited by Peter J. Bowler and John V. Pickstone, The Cambridge History of Science. Volume 6: Modern Life and Earth Sciences: 126–40. (The Cambridge History of Science, 2009), p. 127-8.